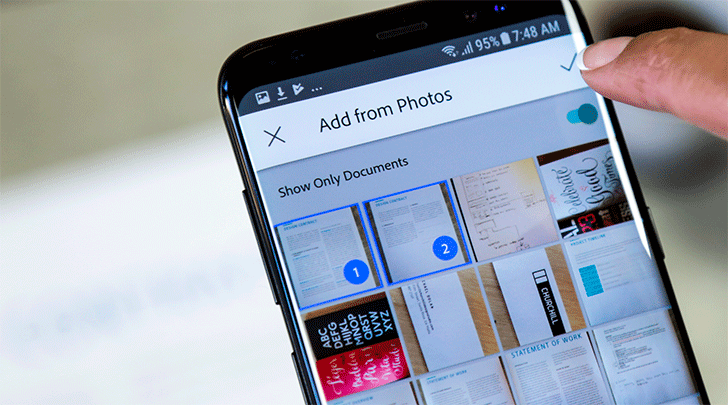 Adobe's AI and machine learning technology (Sensei) is now on board, and it aims to make finding document photos easier and faster. It can search through your photo collection to unearth items that would be good for scanning, so you no longer have to struggle to recall the date on which you took that picture of your rental agreement. You can also search by name and sort by date, plus you can access scans when you're offline, too. As well as these additions, Adobe has also made some improvements to image cleaning, so your scans will look even better. It has to be said that Google Photos is already good at picking out documents, and you can search your entire collection rather than just what's currently on your device. Google Drive can scan things for you, too. But if you like Adobe's app already there's no reason you won't like this new update. You can try it out at the Play Store link below, or sideload it from APKMirror.